When Border Grill needed to upgrade the telephone system at one of our restaurants we chose Johnson Telecommunications. Dave went out of his way to accommodate our busy schedule and have the installation go seamlessly without interruption of our business. When the first system didn’t quite fit our needs he happily installed one that was, in fact we were so pleased we had Dave install that same telephone system in our other two restaurants. Dave has made himself available at a moment’s notice to answer any questions and help us out whenever needed. When we opened our Third St. location he went above and beyond making sure we had everything in place to have not only our telephone system up and running, but our POS system as well. Border Grill takes pride in keeping our business local whenever possible and we are happy to keep it local by doing business with Dave at Johnson Telecommunications. We were beginning the process of replacing our telephone system when the company we had worked with for years abruptly went out of business. Dave stepped in and not only took care of our immediate needs; he also designed and installed a telephone system customized for our office and with no disruption to our business. Dave is very friendly, easy to work with and we can always rely on him to respond quickly to any questions we have and trust his advice on system changes required to meet the needs of our growing business. I would highly recommend Johnson Telecommunications. Schwalbach Kitchens needed to upgrade. Dave’s recommendations on different systems helped us to find just the right one. His attention to details and his ability to work around our schedule made for a smooth transition. 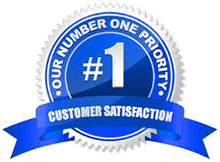 We would recommend Johnson Telecommunications to everyone! When our telephone system went down and our current vendor was not available, Dave stepped in to immediately identify the problem. Within a couple of hours he had us up and running with a temporary solution, supplying us with whatever equipment that was needed until he could permanently replace our existing system. He then went right to work on designing a new system for us, making sure to stay within our budget and installing the new system within a few days of my initial call. During installation I appreciated his attention to the little details and the fact that he took the time to make sure the features were set up to our liking. I know when I call Dave I can count on him to return my call the same day. Dave has always responded quickly to any of our telephone system questions or needs and that gave me piece of mind when we found ourselves without telephone service. — Cheri Liubakka, Practice Administrator, U.P. Digestive Disease Assoc., P.C. Johnson Telecommunications gave us just the system we needed… we couldn’t be happier! We were especially impressed with Dave’s attention to detail and his friendly support. The Upper Peninsula March of Dimes offices moved and upgraded our division offices in Marquette. Johnson Telecommunications wired our new offices and set us up with conference call capabilities, speaker phones, and intercom to all offices. We are set communications wise in our new building. Dave gives us personal service you don’t get with other communications companies in the U.P. We’re very happy with the work Dave did for us. When the Marquette Monthly moved into our beloved turn-of-the-century cottage in The Village (Marquette’s Third Street), it was necessary to start from scratch where phone service was concerned. Dave provided us with expert advice and an affordable system that worked. And every time we have needed service or help of any kind, he has been there for us promptly and kept things going. We always know we can count on him to be just a phone call away. Over the last four years Johnson Telecommunications has regularly played a key role in helping us create and maintain our own high speed data network serving over 500 Tourville Apartments Residents. Dave Johnson has always given us quality dependable work. Dave provided 9,000 feet of fiber optic cable, dozens of fiber connectors and the specialized tools to build a network backbone that connects our 15 buildings. Within our buildings we pulled over 10 miles of cat5 cable and Dave personally terminated all the main patch panels and the many hundreds of apartment network wall jacks. And he accomplished this on the customer’s schedule, working at our convenience. Dave also installed the high speed equipment and cabling that connects our system to the internet. He made sure it was built right and met signal quality standards. In the year’s since he’s installed our bandwidth upgrades and he continues to check in with us to see how the system is performing. Dave has always shown a strong dedication to serving his customer. Technology and the internet are not perfect. Problems happen, connections go down. Dave’s level of support has been superb. He has consistantly gone beyond the call of duty in responding to network troubles and has saved us many a time. An upcoming project here at Tourvilles is another bandwidth upgrade, something very unique. This time we’re getting a pure fiber optic connection from the internet directly to our property. If it hadn’t been for Dave Johnson’s extra efforts, this project would not have happened. And come install time, Dave will be there making it happen. I highly recommend Johnson Telecommunications. You can put your trust in Dave. He knows what he’s doing and he won’t let you down.